The Premier Foam style of rest has a specially molded foam interior for a firmer yet responsive wrist pad with a soft, brushed fabric cover. 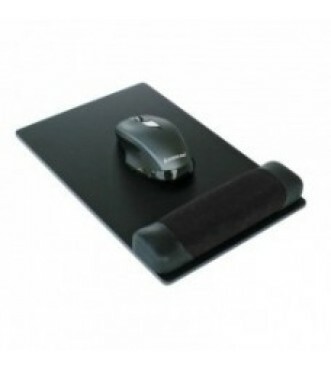 It is available with the pad attached to a ¼” phenolic baseboard or in a pad only style (strip). For use with mouse alone. Wrist pad is covered in your choice of soft, suede-like fabric or doeskin vinyl.